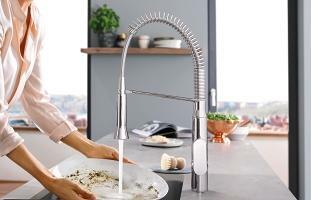 Unlock the professional potential of your kitchen with the K7 FootControl faucet. Enjoy the K7's high-performace professional spray feature and extractable hose combined with the convenience of foot-activation technology. 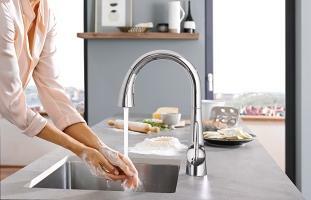 Featuring a crisp, architectural design, this faucet's exceptional pro-level features make it more than a match for any task. 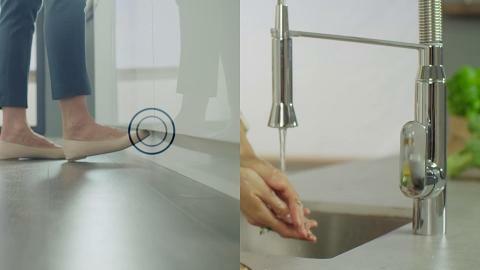 For busy kitchens where efficiency is important, the K7 FootControl faucet provides total control while leaving your hands free for other tasks.